Located high up in the Fish Creek Falls neighborhood, this private 3BD home sits on a premier lot and is bordered on two sides by open space. The southern boundary greenbelt encompasses a section of one of Steamboatâs trail systems accessed from the back yard. The main level has an open floorplan with vaulted ceilings, hardwood floors, and a stone gas fireplace. The luxurious kitchen features quartz countertops, stainless appliances, and an island with seating. Just a few steps up from the living room is the private master suite with a walk-in closet and master bath with soaking tub & steam shower. Two additional bedrooms are on the lower level along with a family room that accesses the flagstone patio area and pathway around the exterior. 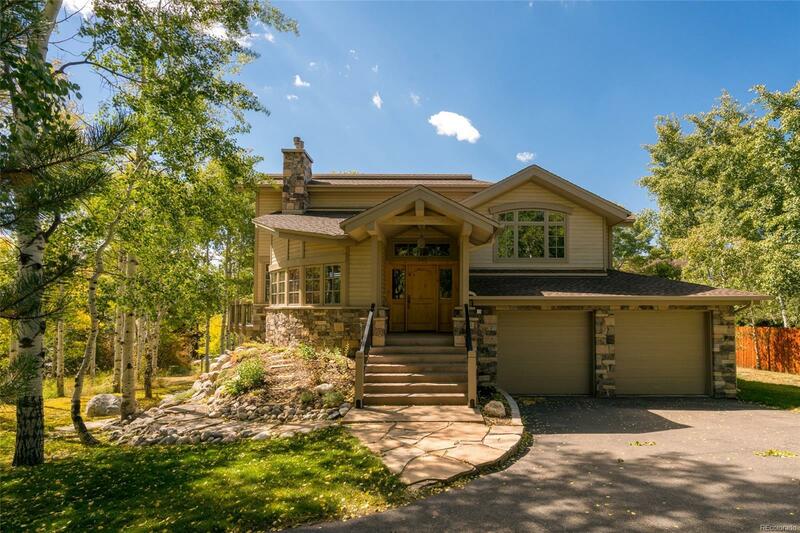 Step out onto the large deck surrounded by aspen trees and youâll feel like you are miles away from town. Enjoy the benefits of living outside of the city limits, but with the benefits of all city utilities.